It’s August, and that means the countdown to VMworld US has officially begun! Hopefully you’ve already registered. If not, what are you waiting for? We’ve got a ton of great PowerCLI and automation based activities lined up for this year, and some more still in the planning phases. Check back here often to keep up to date. 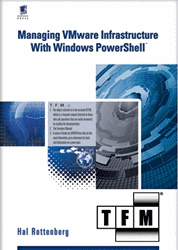 INF8038 – Getting Started with PowerShell and PowerCLI for Your VMware Environment: VMware’s PowerCLI is one of the most complete, mature, and widely adopted extensions to the framework. It includes a plethora of functions that abstract the vSphere API down to simple and powerful cmdlets for operating your vSphere environment. In this session you’ll learn how modules, snapins, functions, and scripts relate to one another, how to install and configure your PowerShell Integrated Scripting Environment, setup a profile, and begin writing PowerCLI scripts using safe, non-destructive starter code. We’ll also dive into exploring objects, extension data, and perform simple logic statements. NET7514 – PowerNSX and PyNSXv: Using PowerShell and Python for Automation and Mangement of VMware NSX for vSphere: Regardless of whether you are a Windows guru, or dream in awk and sed, there are powerful command-line and scripting tools as well as programing language bindings available to you for managing VMware NSX for vSphere environments. This session will take a light hearted, but informative, look at two tools that enable you to query, manage, manipulate and automate your VMware NSX for vSphere platforms. STO8923 – PowerShelling Storage to the Extreme: With enterprise vendors providing rich PowerShell snap-ins to their products, just how far can you take these cmdlets? Combining VMware’s cmdlets with cmdlets for servers, storage, networking, and applications, can take the monotony out of day to day tasks, and ensure completion. But why stop there? They’ll take a look at more complex storage-based solutions that can be scripted into simplicity. Let your imagination be the limit! INF8036 – Enforcing a vSphere Cluster Design with PowerCLI Automation: The amount of VMware vSphere data center, cluster, storage, and network options available to an administrator is massive. Even specific features such as High Availability and the Distributed Resource Scheduler have a ton of different configuration settings provided to meet the needs of your specific virtualized workloads. It can be a challenge, however, to audit the settings and best understand why they were set in the first place—especially as other administrators join and leave your organization! In this session, see how they take a look at abstracting vSphere configuration settings into declarative configuration files. Also, learn how to audit, track, and enforce consistent settings to ensure the availability and standardization of your vSphere environment. INF8092 – The Power Hour: Deep Dive, DevOps, and New Features of PowerCLI: Alan and Luc will present you with a state of the union for PowerCLI, discussing what’s new, what’s changed, and what it means for you. Be sure to attend for exciting news and tech preview features and demonstrations. With the rise of all things DevOps, this session will also show you the latest state of the community-driven VMware vSphere DSC resources, including why and how to use them, what they are, and what’s in store. This session will be filled with best practices, including fast(er) statistical reports and assigning SCSI IDs and payment card industry slot numbers. Don’t reinvent the wheel, just copy our code! STO8267 – Hours to Minutes: Automated Provisioning and Deployment Using PowerCLI, vRealize Automation and vRealize Orchestrator: VMware IT has a large project portfolio with over 60 remote sites that need to be provisioned with core footprint virtual machines (VMs). The deployment of these machines requires additional resources and expenses. VM lifecycle management and application configuration (creation to retirement) is time-consuming, error prone and involves manual efforts. The ability to automatically provision new infrastructure and reduce manual efforts is a vital building block to establishing an on-demand model for IT and to better serving the needs of the business by reducing costs and increasing efficiency. The VMware IT Tenant Operations team will discuss its solution using PowerCLI, vRealize Automation (vRA) and vRealize Orchestrator (vRO) that reduces critical provisioning time to configure the footprint VMs from hours to minutes on the EVO VxRail platform. INF10730-GD – PowerCLI with Kyle Ruddy and Alan Renouf: Group Discussions are a good way to join together with peers, guided by a VMware expert, and discuss a VMware key topic as selected by the group. Come to this session prepared to dive-in, engage, and share best practices. ELW-1721-SDC-6 – Introduction to VMware PowerCLI: In this Expert-led Workshop, go hands-on with VMware PowerCLI. Gain familiarity with the tool, and then dive deeper into the functionalities available in this exciting product. Both new and experienced users are sure to learn something new. 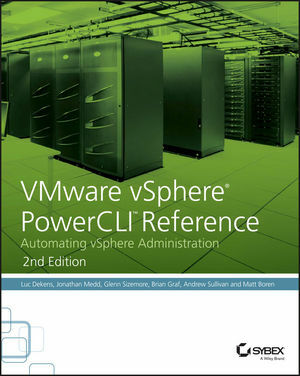 SPL-1721-SDC-6 – Introduction to VMware PowerCLI: Go hands-on with VMware PowerCLI. Gain familiarity with the tool, and then dive deeper into the functionalities available in this exciting product. Both new and experienced users are sure to learn something new. SPL-1783-HBD-1 – VMware vCloud Air – Manage Your Cloud: VMware vCloud Air can be managed through multiple solutions depending on your needs and requirements. In this lab we will look at how we can connect to our vCloud Air environment through the vRealize Cloud Management Platform, utilizing the power of vRealize Automation to provision and manage workloads running in vCloud Air. We will also look at how we can use PowerCLI to automate tasks in vCloud Air. Finally we will show how vRealize Operations can be used to operate and manage our vCloud Air environment. This entry was posted in VMworld and tagged PowerCLI, Sessions, VMworld on August 8, 2016 by Kyle Ruddy. Here at VMware we are always trying to make sure we give you the information you need in a way that you can best consume it. With this in mind, a little while ago I was asked to take part in a pilot for a new talk show VMware is looking to gain feedback on, this gives us the chance to give you more information in a less formal way and you to learn more about a given subject. The initial talk show is a little rough around the edges but please do take 30 minutes out of your busy schedule to check it out and perhaps learn a little more about PowerCLI and how to work with VMs in particular. This entry was posted in Learning and tagged Sessions on May 31, 2016 by Alan Renouf.